Bathroom installation is a multi-stage process which involves lots of tough work. Going through all those processes is not possible for any individual. This is why we London Local Builder have launched bathroom installation service for decreasing the burden from people’s shoulder. Our team of professionals can do the multi-stage task very easily for you. We can convert your old bathroom into a modern and energy efficient one. You will not find such quality work in so little amount in the whole London city. Providing quality service and materials always remained the aim of our company. We never hesitate in taking a bathroom installation work no matter whether it’s a new one or old one. We can fix even the smallest of problems through our high-tech and modern instruments. We promise to give you a luxurious bathroom in return for your money. 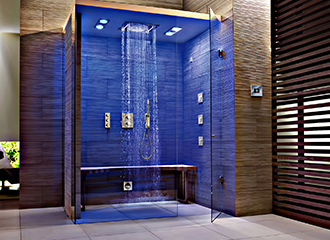 We provide the entire bathroom fixture which is going viral in London nowadays. From the installation of pipes, floors to the ceilings, everything will be taken care by our professionals. You just sit and relax, leaving the tensions of bathroom installation on us. Those who have taken our service for once, London Local Builder is the name that comes to their mind whenever it comes to bathroom installation. Don’t waste your time thinking about it. Just give us a call to get some idea about the things you can get from our service.